A microchip that filters out unwanted radiation with the help of graphene has been developed by scientists from the EPFL and tested by researchers of the University of Geneva (UNIGE). The invention could be used in future devices to transmit wireless data ten times faster. 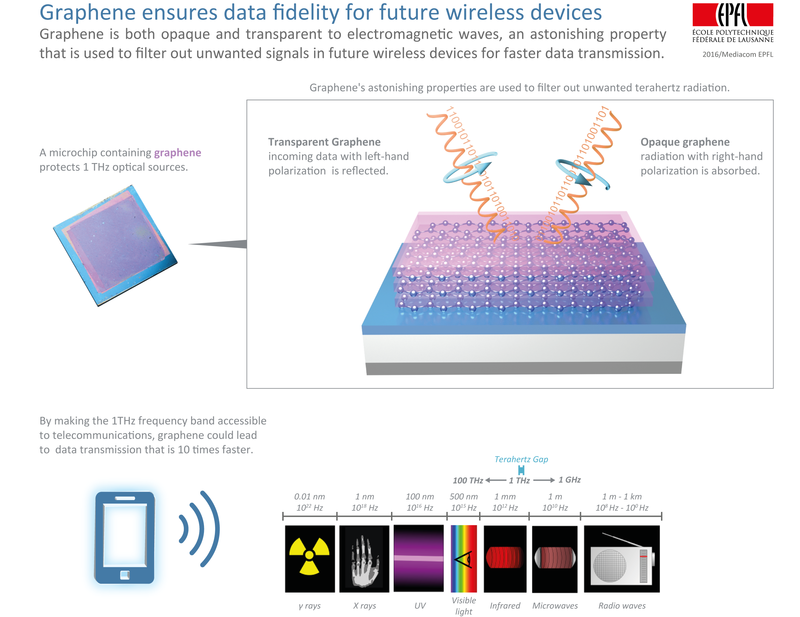 EPFL and UNIGE scientists have developed a microchip using graphene that could help wireless telecommunications share data at a rate that is ten times faster than currently possible. The results are published today in Nature Communications. “Our graphene based microchip is an essential building block for faster wireless telecommunications in frequency bands that current mobile devices cannot access,” says EPFL scientist Michele Tamagnone. Their microchip works by protecting sources of wireless data — which are essentially sources of invisible radiation — from unwanted radiation, ensuring that the data remain intact by reducing source corruption. They discovered that graphene can filter out radiation in much the same way as polarized glasses. The vibration of radiation has an orientation. 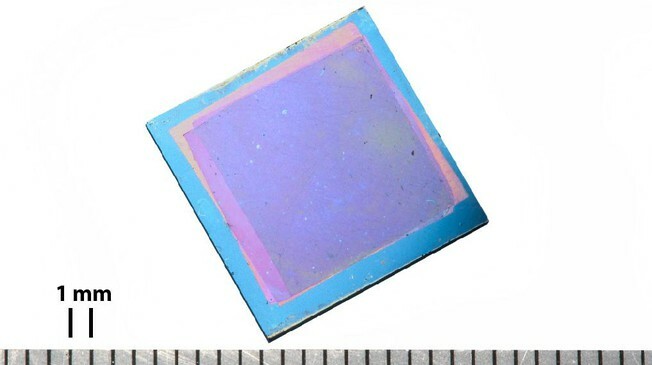 Like polarized glasses, their graphene-based microchip makes sure that radiation that only vibrates a certain way gets through. In this way, graphene is both transparent and opaque to radiation, depending on the orientation of vibration and signal direction. The EPFL scientists and their colleagues from Geneva used this property to create a device known as an optical isolator. Moreover, their microchip works in a frequency band that is currently empty, called the terahertz gap. Wireless devices work today by transmitting data in the gigahertz range or at optical frequencies. This is imposed by technological constraints, leaving the potential of the terahertz band currently unexploited for data transmission. But if wireless devices could use this terahertz bandwidth, your future mobile phone could potentially send or receive data tens of times faster than now, meaning better sound quality, better image quality and faster uploads. The graphene-based microchip brings this terahertz technology a step closer to reality. This discovery addresses an important challenge that was so far unsolved due to lacking technologies, confirming once more the extraordinary physical properties of graphene. 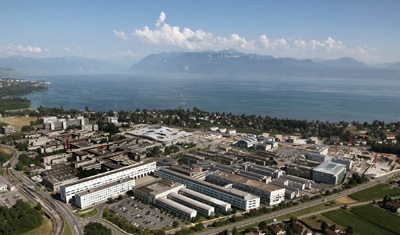 This joint project between EPFL and the University of Geneva was funded by the European Graphene Flagship project and by the Swiss National Science Foundation.